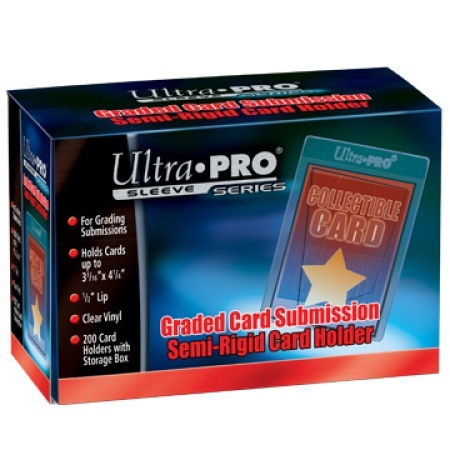 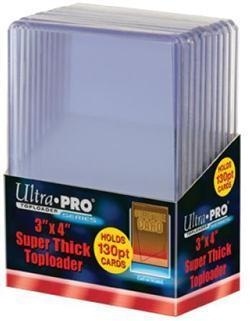 Ultra Pro Vintage Card Sleeves are an acid free - PVC, archival quality product made of super clear polypropylene. 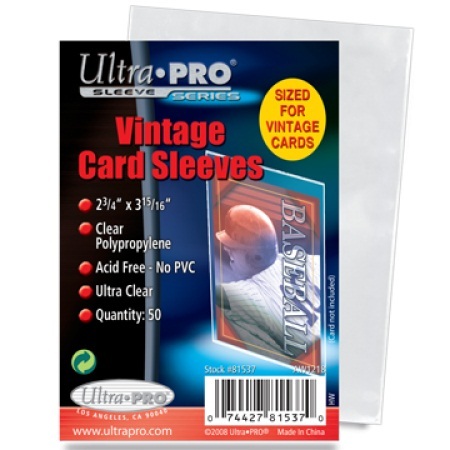 Use this protective sleeve to protect, your Vintage collectible trading cards like; baseball cards, basketball cards, football cards, hockey cards, and others. 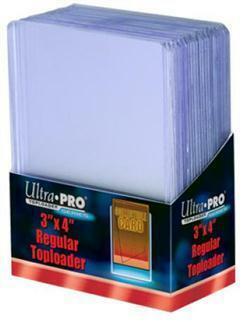 - Hold cards sized 2-3/4" x 3-15/16"